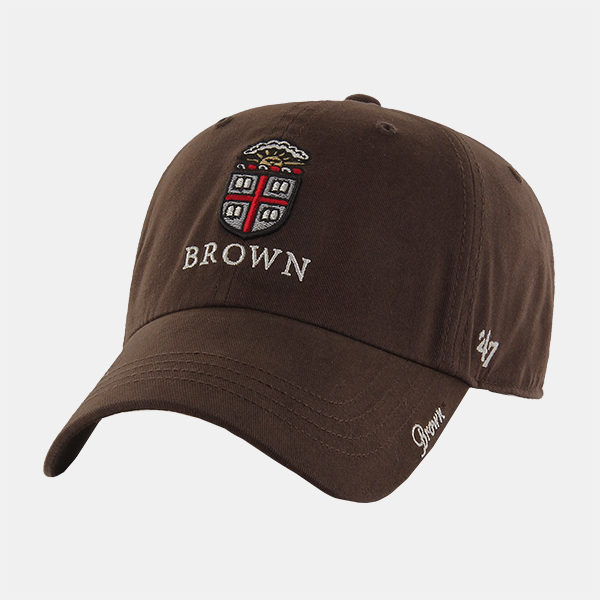 47 Brand 100% cotton, adjustable, brown women's cap with raised grey, cardinal, black, white, and gold embroidered Crest above 'BROWN' embroidered in white on front, 'Brown' embroidered in white script on left of bill, and '47 embroidered in white on left side. 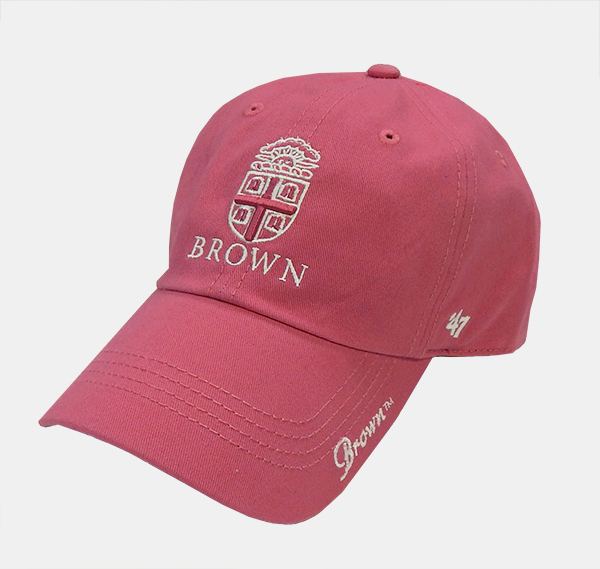 47 Brand 100% cotton twill, adjustable, hot pink women's cap with embroidered hot pink and white Crest above 'BROWN' embroidered in white on front, 'Brown' embroidered in script on left side of bill, and '47 embroidered in white on left side. 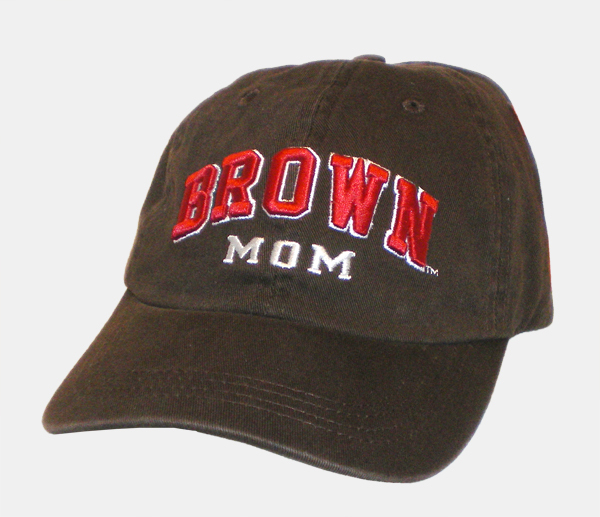 Champion adjustable brown cap with 'BROWN' in red raised embroidered letters with white outline and 'MOM' embroidered in white. 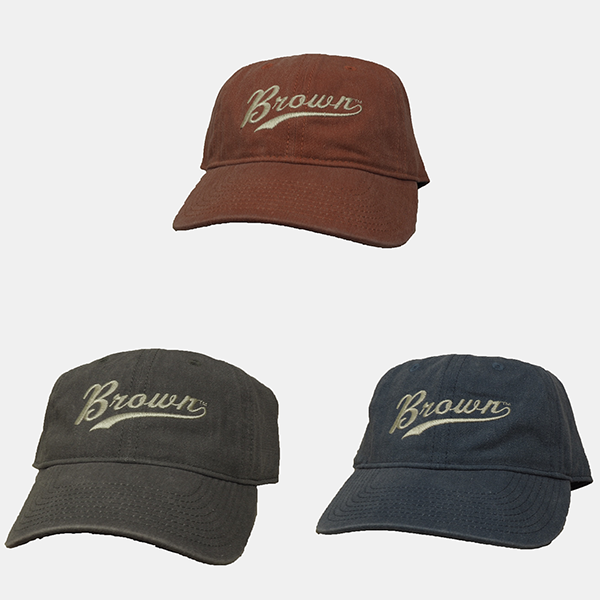 Champion, pigment dyed women's cap with 'BROWN' embroidered in white script. Available in Blue, Red, and Flint Gray. Please select option for Champion Women's Pigment Dyed Cap - $24.99. 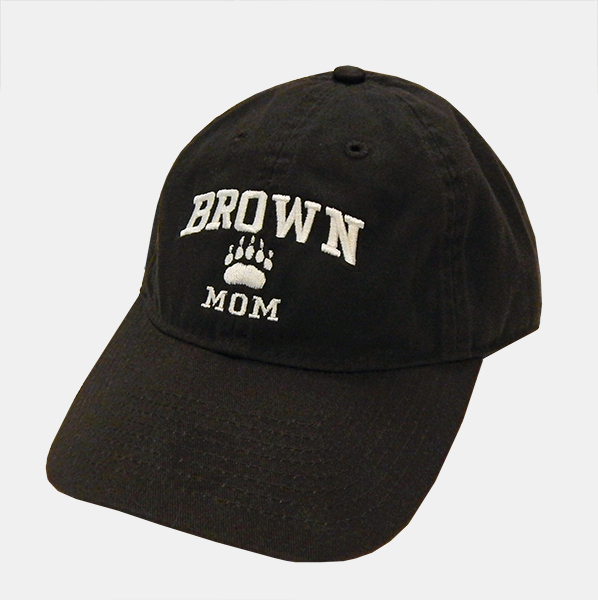 Legacy adjustable, relaxed brown twill cap with 'BROWN' embroidered in white above white embroidered Paw above 'MOM' embroidered in white. 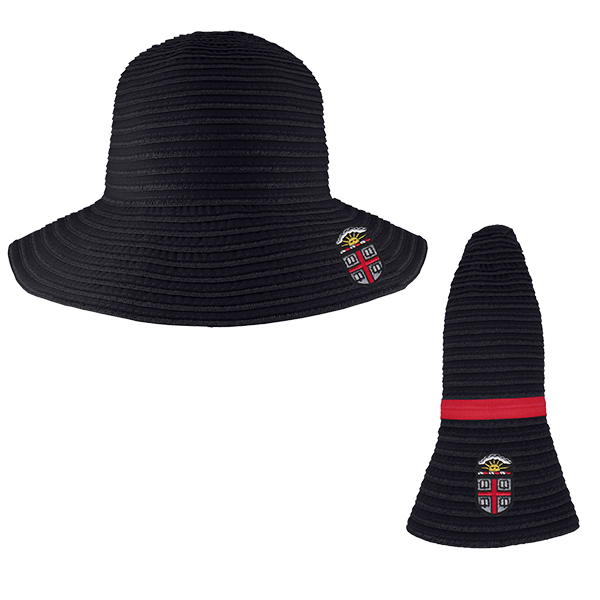 Please select option for Logofit Amelia Women's Sun Hat - Stone or Black. 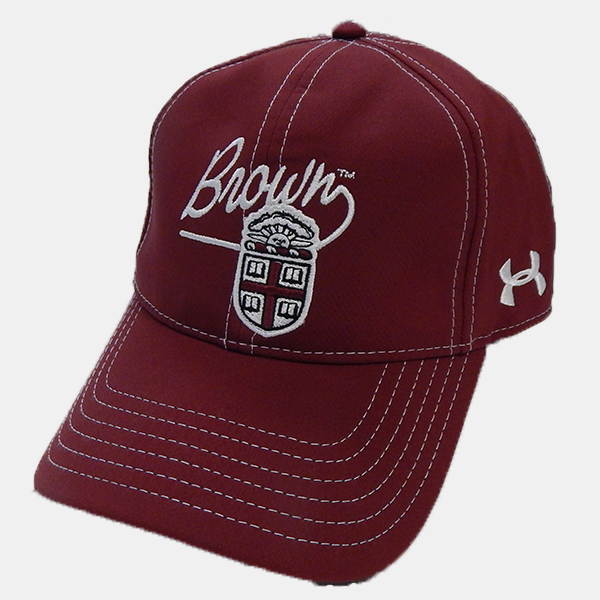 Under Armour, 96% polyester, 4% spandex, cardinal cap with 'BROWN' in white script and Crest in cardinal, black, and white. Under Armour, 90% polyester, 10% spandex body. 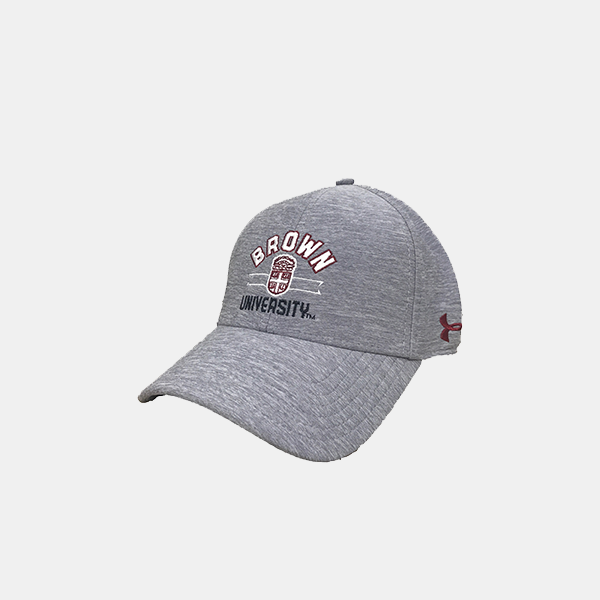 Adjustable grey women's cap. 'BROWN' imprinted in white with cardinal outline above Crest in cardinal and white, 'UNIVERSITY' imprinted in black at bottom.